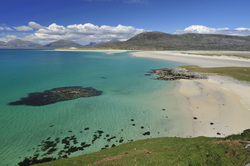 Whatever the weather, the best way to explore the Hebrides is to get out of the car and walk! 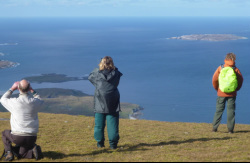 Our customised guided walking tours of Lewis and Harris provide a uniquely personal experience of these fascinating islands, allowing you to explore the landscape, culture and wildlife at your own pace. With over 20 years experience leading walking groups in the Scottish Highlands and Islands, and fully Mountain Leader qualified, we have unrivalled local knowledge and can take you to the places other groups can’t reach! 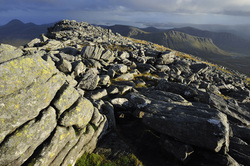 Whatever your taste in walking, we can put together unforgettable single or multi-day treks. Please note: we do not run a programme of scheduled guided walks - all our day walks are done on a private guiding basis. See the bottom of the page for prices. 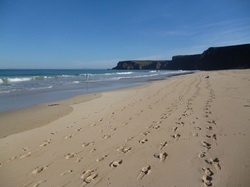 Lewis is world famous for its magnificent beaches, from the vast strands of Tolsta and Uig to the stunning coves of Bostadh and Dalbeg. This wonderful day tour offers you the chance to walk on at least four of these fabulous Traigh, as they are known in Gaelic. Come with us on this wonderful day tour, taking your shoes off to paddle in our amazing turquoise waters (if you are hardy enough!) and discover the unique wildlife and human stories along our shores. Towering sea cliffs, secluded beaches, off-shore islands, the mighty Atlantic – Lewis and Harris offer some of Europe’s finest coastal walking. We can take you on numerous spectacular coastal walks, away from any paths - these are days where we will hardly meet a soul, but with sensational views and abundant wildlife round every corner. 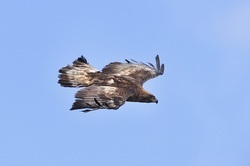 Soaring eagles, magnificent red deer, the haunting call of the greenshank, machair grasslands bursting with flowers, elusive corncrakes…..we can help you discover our stunning nature and wildlife. 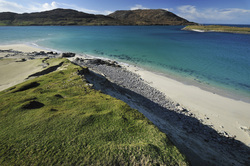 The dramatic Harris & Uig hills provide superb hiking in one of the wildest landscapes in Britain. The islands abound with evocative traces of previous generations. 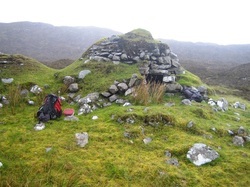 Discover abandoned settlements, beehive dwellings, remote chapels and ancient forts tucked away far from the nearest road. Gentle walks in beautiful places, with visits to some of our best cafes. tea shops & art galleries included! One day, however wonderful, can’t do justice to all the islands have to offer. We can put together a range of tailor made multi day packages. If you're stuck for ideas for where you would like to go, we've included some suggestions below. We've included information on some of the many walks we can offer - but remember, the list is not exclusive. We can take you to anywhere you want to go on Lewis and Harris, and can even arrange walking trips around some of our off-shore islands. Contact us or give us a ring on 07724 150015 and we will always be happy to suggest routes that fit in with your particular interests.